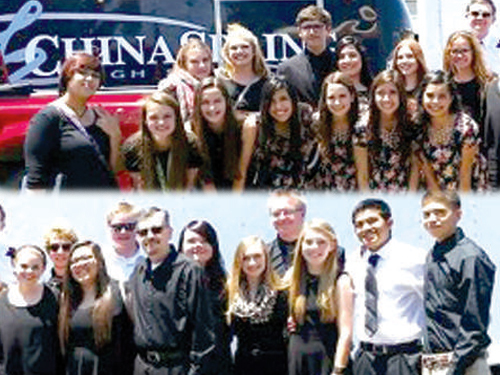 Members of Dalhart High School’s Golden Wolf Band, directed by Jim and Nicole Paslay, recently competed at University Interscholastic League’s (UIL) Texas State Solo/Ensemble Contest and earned 19 division one gold medals. 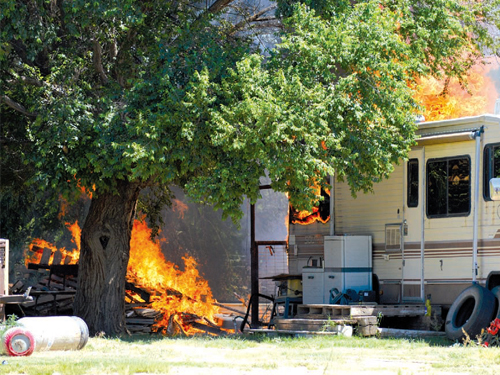 A structure fire that destroyed a vacant trailer home located in the 1500 block of Trinidad this week is now being investigated as arson, according to Dalhart Fire Chief Curtis Brown. 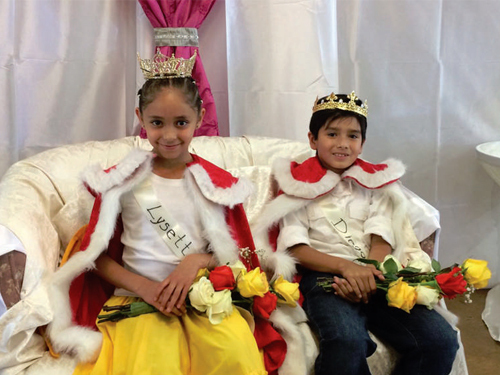 The 2016 Fiesta King and Queen are Lysette Duarte, age eight, and Diego Martin Garcia, age eight. St. Anthony of Padua Catholic Church held their annual summer Fiesta fundraiser Sunday at Rita Blanca Coliseum. Dalhart’s Benevolent and Protective Order of the Elks is perhaps best known for its lounge atmosphere and entertainment events. But the acts of kindness and investments made in the community and local heroes are what they strive to be more commonly recognized as. A recent act of kindness from the Elks, with help from Dalhart Independent School District nurse Gloria Shepherd, has rolled up to positively impact a local student. 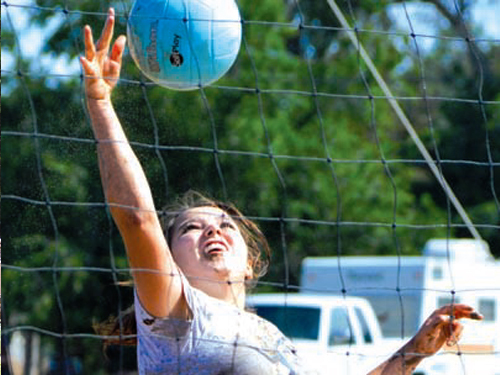 The annual Texline Community Days were Friday and Saturday in Texline. The DISD Board met on Thursday night in a special meeting. There were two agenda items before the closed session, which had several items. As the DISD Office is closed on Friday, information on these items was not available as of press time Monday, but is expected to be available later this week. Dalhart firefighters responded to a house fire in the 1500 Block of Trinidad Monday just after noon. The Texas and Oklahoma Panhandles have seen their share of hailstorms this Spring, and homeowners across the region have been dealing with the damage. Roof damage has been widespread, and repairs have begun. 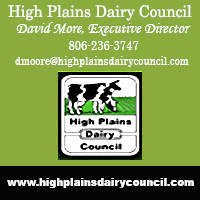 Despite the damage within city limits, Dallam and Hartley County AgriLife Extension Agent Mike Bragg said the damage to fields in the county have been minimal. “The wheat (has faired) surprisingly pretty good. We haven’t had as much hail damage as one may expect,” he said. 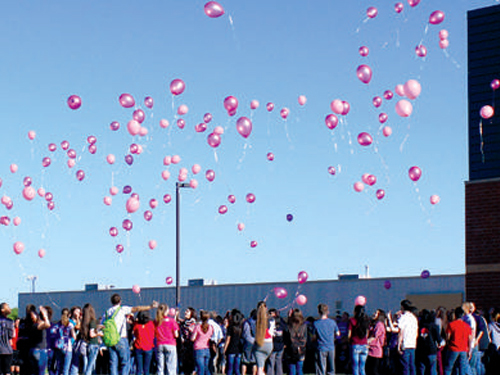 Dalhart High School students and staff gathered Wednesday, May 25 to show support for beloved DHS math teacher Rita Barrow. 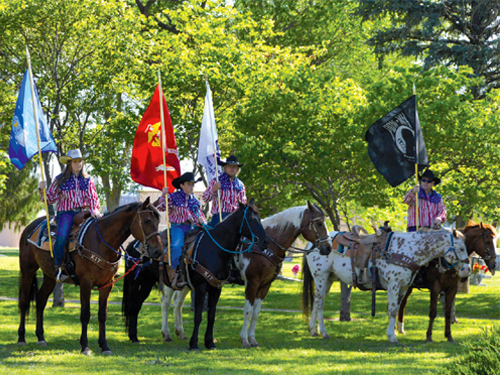 Dalhart honored those who served in the armed forces Monday morning in a ceremony held at the Memorial Park Cemetery. The Dalhart Police Department is quickly running out of room housing abandoned bicycles, and employees are urging residents to claim what belongs to them. This year’s fiesta is scheduled for June 5 at Rita Blanca Coliseum from 11:30 a.m. until 7 p.m.
Everyone is invited, the proceeds benefit upcoming projects at St. Anthony of Padua Catholic Church. As in previous years, St. Anthony’s children are raising funds, and there are three candidates for queen and three for king this year. Dalhart High School’s current events team, coached by David Hutchison, took second place at the University Interscholastic League state meet in Austin. Pictured are Gilberto Barrios (L), who placed 11th individually, Dalia Guerrero (LC), who placed second individually, Brittani Swagar (RC) and Justin Bell (R), who tied for ninth place individually. 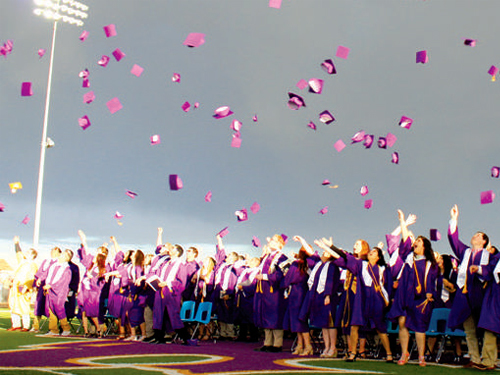 Despite the rain and wind, Dalhart High School celebrated graduation Friday night at the football stadium. More than 100 students received their diplomas in the ceremony. Voters cast their ballot in the statewide primary run-off election Tuesday. Results were available from the Office ofthe Secretary of State.On the Republican ballot, voters had the opportunity to decide between Gary Gates and Wayne Christian for railroad commission. State-wide, Christian received 192,599 votes (50.99 percent), and Gates received 185,887 votes (49.11 percent). For the full story SUBSCRIBE to the online edition of The Dalhart Texan, call (806) 244-4511 to setup a subscription to our physical paper or pick a copy up at one of our many convenient newsrack locations. You can also stop by and purchase a paper or subscription in person at our news office located at 410 Denrock Ave. The Dalhart City Council met on Tuesday evening, May 24. There were only two agenda items. A public hearing was held on Resolution 2016-08 to determine conditions described as unsafe and dangerous on property located at 104 Maple. A review of the condition of the property and pictures were shown to the council by Laura Mize, with the code enforcement department. 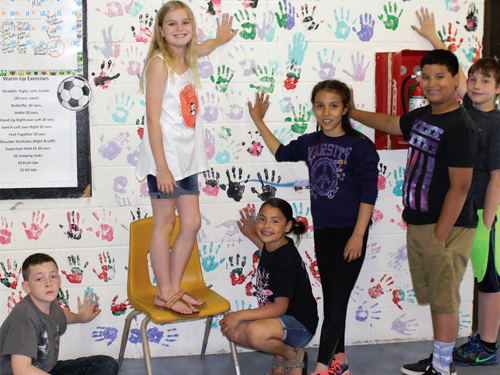 All fifth grade students at Dalhart Intermediate School celebrated the end of the school year and the end of their time at DIS by leaving a painted handprint on a wall in the Lego Gym. 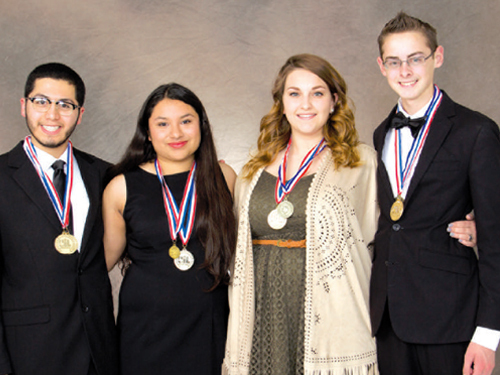 Pictured leaving their mark are Mason Palmer, Reese Wieck, Jasmine Quiroz, Evangelene Lucas, Eric Ruiz and Colton Bruce. Both the Dallam and Hartley County Commissioners’ Courts met at 10 a.m. Monday in a special meeting in Dalhart. There were two agenda items. The first one was the consideration of hiring a 4-H Extension Agent. Brandon Dukes, District 1, District Extension Administrator of Amarillo, made the presentation on hiring Bailey Wright. Wright is a lifetime 4-H member in Lubbock. She is knowledgeable about 4-Hand the program. Dallam County Judge Wes Ritchey told the commissioners she would bring a lot to the county. 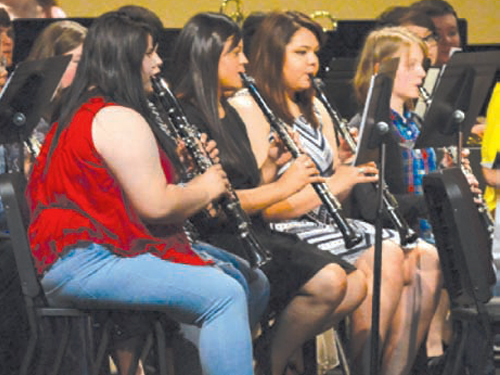 Dalhart High School’s Golden Wolf Band, directed by Jim and Nicole Paslay, presented the annual spring concert Thursday night in the high school auditorium. Following the concert, band students were recognized and presented with awards for their achievements during the 2015-16 year. Charlie Rowell, Josef Baumert and Desiree Simmons were awarded the Golden Wolf Drum Major Awards in recognition of their service to the Golden Wolf Band during the the 2014-2015 year. 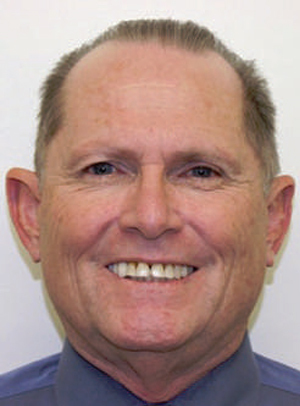 Dalhart’spolice chief reportedly resigned Friday. According to Dalhart City Manager James Stroud, chief Gary Sinclair gave a verbal resignation Friday and then retracted it.